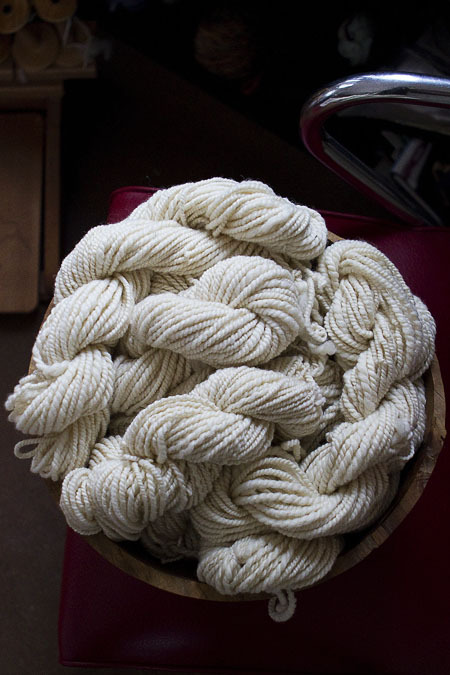 This new year has been spent spinning Vivian the sheep’s fleece into beautiful double ply yarn. Can’t wait to knit with this stuff! Here’s to Ewe in 2012. I love when I “meet” folks who commit to finding loving homes for animals in need. This is Rudie, (isn’t he gorgeous?) a spokes-doggie for One Tail at a Time of Chicago Illinois, sporting a ballsy bandana and spreading the word about the importance of spaying and neutering you pet. 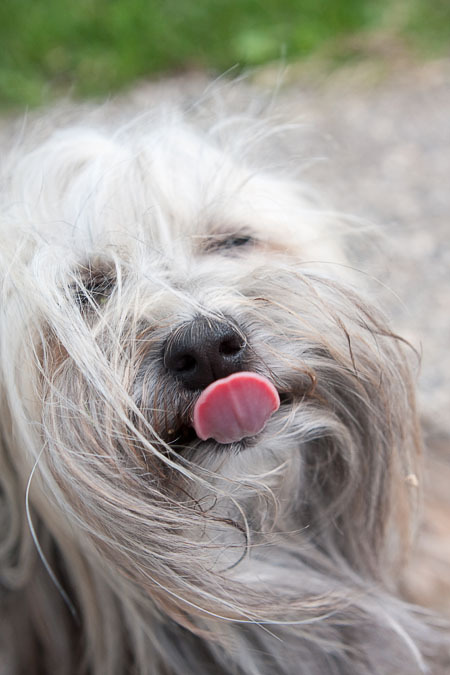 One Tail at a Time is a no-kill, all-breed dog rescue that serves to lower euthanasia rates in the greater Chicagoland area and provide education on the humane treatment of companion animals. The rescue concentrates its efforts on dogs that are in danger of being euthanized, or that are physically and/or mentally deteriorating in a shelter environment, works to rehabilitate them, and then matches each dog with a permanent home. Focused on the “pack mentality”, One Tail at a Time offers fosters and adopters continued support and education on how best to keep dogs happy, healthy and part of the family. Kudos to One Tail at a Time rescue and the volunteers who give these dogs, and their humans, a second chance at finding love. 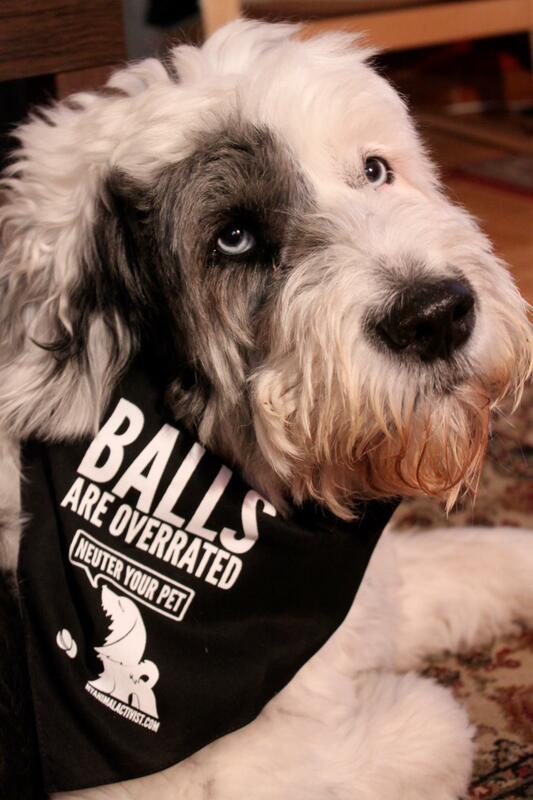 Yes, I admit it, I googled “balls are overrated” today. I wanted to see if anyone agreed with me. Turns out there are folks from near and far who agree, in fact they’re taking time out and blogging about Righteous Goods. There is a lovely website with a great name, Blanket ID, who has recently reviewed our products. Here’s a link to their awesome website and the really nice blog entry. 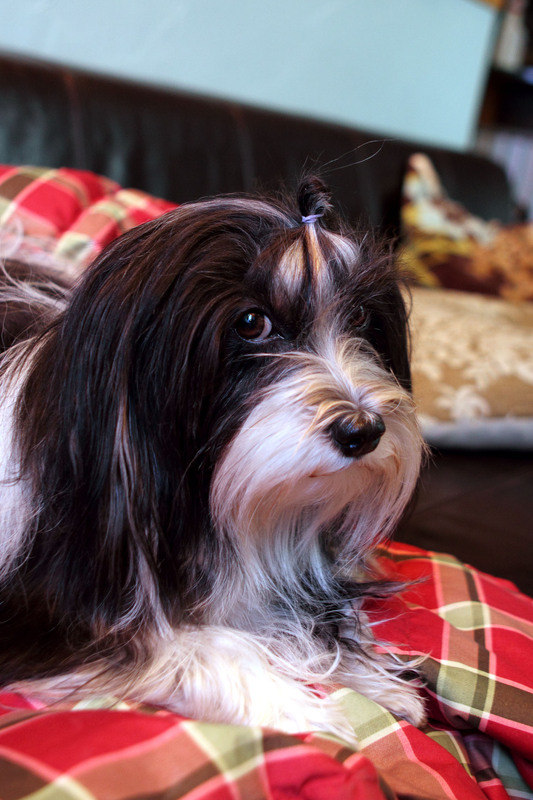 Blanket ID is a company who makes stylish pet ID tags, so you can be reconnected with your pet if he/she were to go astray. They also work with non-profit groups to support animal welfare in general. Here’s a quote from their site. In addition to providing a great looking ID tag for your pet, we deliver a seriously effective solution to the problem of losing a pet. Regardless of how your pet gets lost, we strive to make sure that they get home safely and quickly. We work closely with all animal charities and we welcome approaches from organizations that could use our help. Every ID tag and membership purchased generates money for animal causes and we all greatly enjoy being able to help. We aim to become the preferred method of pet identification and a driving force behind building an online community to help support animal welfare. Here’s hoping that you’ll join us. I’ve been thinking a lot about the happiness of my hens. I really believe that the eggs my girls lay taste better and are healthier for me and my kids because my chickens are loved. Every day they get to patter about the yard, fluff out their wings, take bathes in the dirt, eat bugs, grass, seeds and whatever their bodies’ tell them they need. My hens are all unique with their own personalities, and they are great entertainers. I’ve just learned that chickens recognize each other by facial features. I know my birds have specific flock mates they hang out with. Here are a couple of pictures of Trifle. I know I shouldn’t have favorites among my flock friends, but you just can’t help loving Trifle as she wonders up to you and squats down for a special pat. Trifle is part of our dessert flock, with whom we watched Peter Seller’s The Pink Panther. 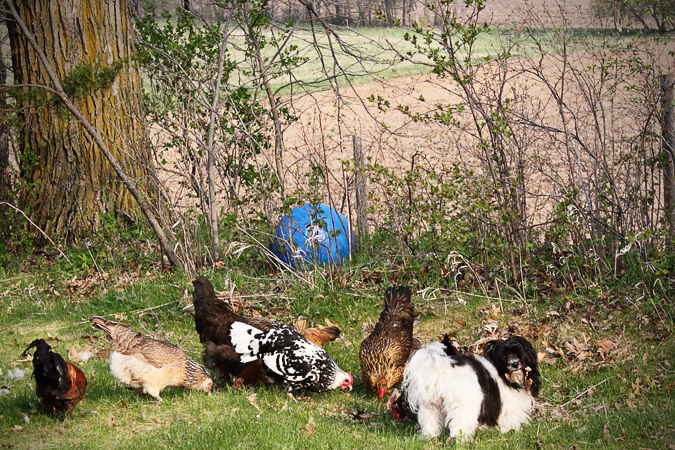 Unfortunately, her sisters would meet a brutal destiny that happens in the world of free ranging chickens. Hence, she is the sole survivor of a mama coyote and pups’ nighttime stop at our chicken buffet. 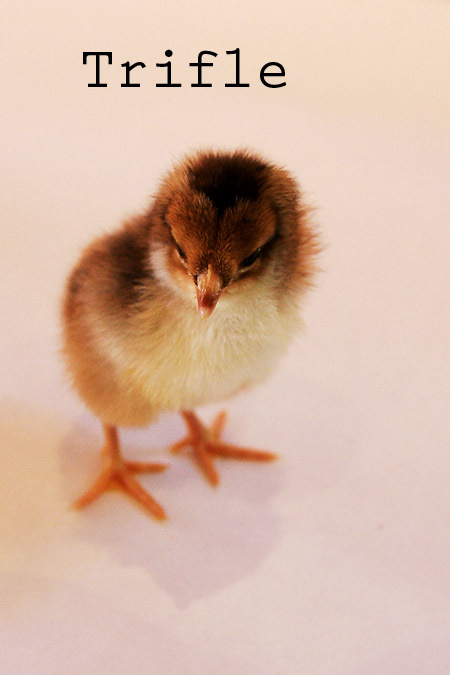 This smart and tenacious girl hid under the henhouse whilst her sister were eaten. Often times I’ve thought about locking up my hens all day and thus protecting them from natural predators. I just can’t do it, they are too happy living the life a chicken should. 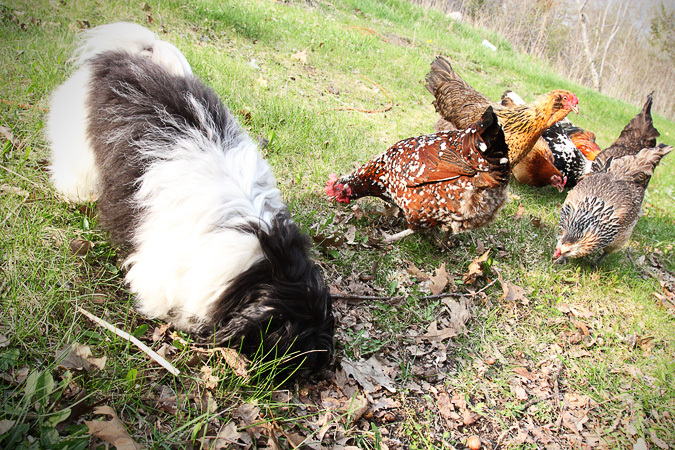 Meanwhile, I now have Rocky the rooster protecting his flock. Let’s just hope he doesn’t “protect” them from me. 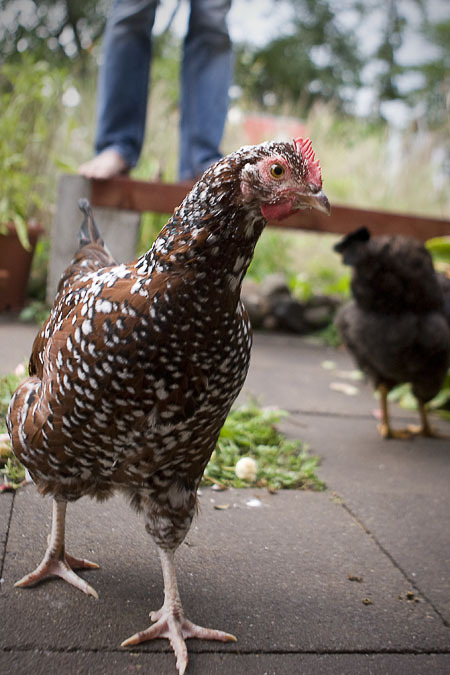 Please support local folks who raise eggs and chickens humanely and ethically. Did Someone Say Philly Dog? Last week the lovely Rebecca from ThePhillyDog.com, your online source for all things cool and dog in the Philadelphia area, blogged about My Animal Activist. I was really flabbergasted by the wonderful outpouring of immediate feedback. Honestly, it made my heart swell. Thanks again Rebecca and all the folks out east that are spreading righteous pet power all over the planet. I can’t tell you how much I appreciate your support. 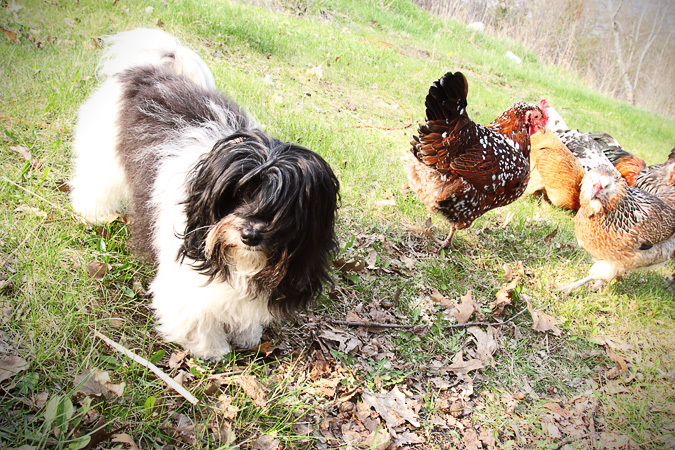 I’m pretty sure no one will notice one more hen….